He will not thank me for this, but I couldn’t let the news of Mark Rosselli’s impending retirement pass without at least a brief comment. 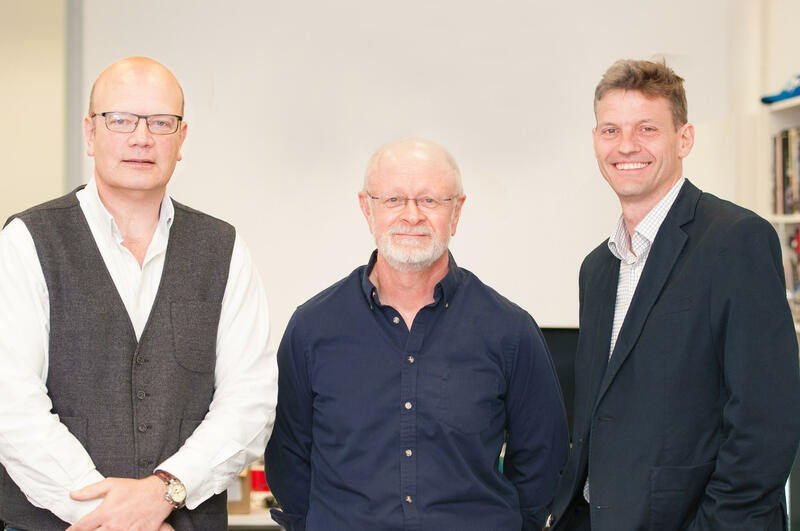 Twenty-two years after he and Jonathan Wilson (above left) founded CPL, Mark is retiring at the end of the year. He may be available after that to work on some ad-hoc projects for CPL (if they take his fancy) but his primary professional focus now is going to be on writing his first book for 20 years. Mark and Jonathan have achieved so much since they got over their initially "frosty" relationship and established CPL in 1996. You can read more about the early days – when one of their key initial ambitions was not to employ any staff – on our website. Before setting up CPL, Mark had a senior role as assistant editor responsible for news on The Observer newspaper. His (and Jonathan's) extremely high journalistic standards have ensured CPL has always had a reputation for editorial excellence – a legacy I'm confident will endure for years to come. Mark is one of the best writers I have ever worked with. I am not surprised that, in his Fleet Street days, he wrote or ghosted many op-ed opinion pieces; he has a remarkable ability to construct a cogent, convincing argument in 600 words on one day – and then do the same thing (but arguing pretty much the exact opposite) a few days, weeks or months later! Everyone who has worked with Mark will have a tale to tell about him – whether it's walking into the office first thing in the morning, clicking his fingers and bombarding people with 20 technical questions before he's even taken off his jacket; or interrupting the same conversation because he's heard the distant roar of his favourite motorbike on the street outside. He can be demanding, opinionated and contrary. He often sets apparently unrealistic expectations. But it's always with the best of intentions. And, over the years, CPL has delivered better work for our clients as a result. On a personal level, he has also been supportive, kind and very loyal. Not least over the past two years when he has had to sit back and observe a new senior leadership team at CPL doing things differently and, inevitably, making a few mistakes along the way. I'm pleased to say he will remain involved as a CPL shareholder and we hope to see Mark and his wife Carol strutting their stuff on the dance floor at many future CPL events. But for now, it's just a massive thanks to Mark for the role he's played in creating and shaping the agency CPL is today.